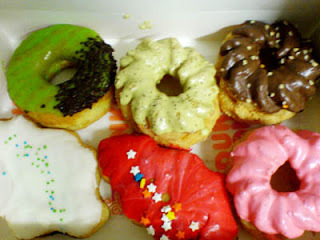 Well, I didn't get a birthday cake on Thursday, but I got half a dozen of birthday donuts today!! And I think they look wonderful! I'm definitely putting on weight after this week!